Starring Woody Harrelson, Hailee Steinfeld, Blake Jenner and Kyra Sedgwick, director Kelly Fremon Craig’s movie, The Edge Of Seventeen features good performances from the entire cast. Steinfeld whose great work in True Grit (2010) will probably always be my favourite of her roles did a good job of playing a high school student. One whose life becomes even more challenging than it already was now that her brother and best friend have started dating. I enjoyed Harrelson and Sedgwick’s performances the most. Harrelson for the humour and Sedgwick for her portrayal of a struggling mother of two teenage children. By the end, even though my teenage years weren’t the worst, I was left feeling rather grateful that my those years are well and truly behind me. In truth, of course, every decade of life is challenging; except that with time, we hopefully should be getting better and wiser so we hurt people less. I’m sure the teen angst stuff will be interesting. However it’s another serving of the promise I saw in Hailee Steinfeld’s performance in True Grit (2010) that’ll get me to watch. That combined with Woody Harrelson’s teacher character because he reminds me of another fun high school teacher role played by Jermaine Clement in People Places Things (2015). Written and directed by Kelly Fremon; Kyra Sedgwick, Blake Jenner and Laine MacNeil also star. I’m hopeful because of John Favreau, Hailee Steinfeld and Bill Paxton’s involvement. Favreau because of his work in Chef (2014) and I Love You, Man (2009), Steinfeld for True Grit (2010) and Paxton because of what he achieved with 2 Guns (2013) and he’s just generally very good. My fingers are very crossed. I’d been looking forward to watching Begin Again for a while. Being a big Mark Ruffalo fan is one of the reasons. The other is Keira Knightly; but really, the biggest draw of all is the story about individuals who chance upon a way to start over after things unexpectedly fall apart. The story is great for anyone who can relate to the subject matter as well as if you’re just after a well executed drama set in New York City and with good music at the heart. Adam Levine, Hailee Steinfeld, Yasin Bey (better known as Hip/Hop artist Mos Def) and Catherine Keener make up the very competent supporting cast. 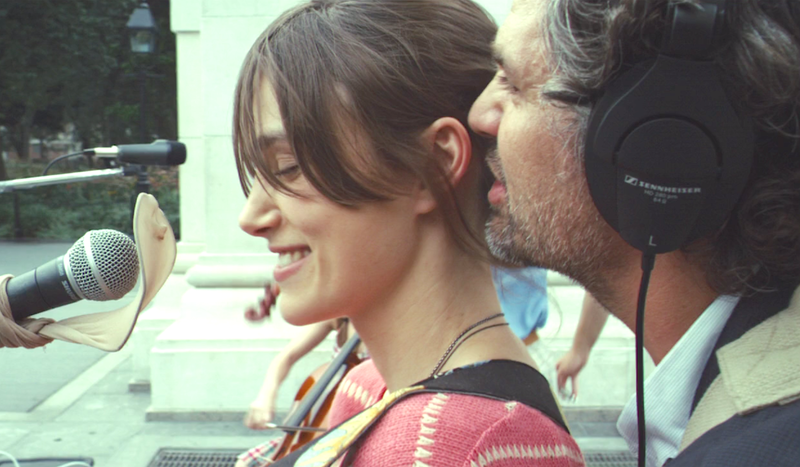 Written and directed by John Carney, Begin Again is a universal story beautifully told. The family element, especially the father / daughter relationship between Ruffalo and Seinfeld’s characters is a lovely highlight, as is what James Corden achieves in his role. Watch it because it’s good and because you can’t be in New York City right now but you really want to be. In case you find yourself worrying about Keira Knightley’s singing, it’s admittedly not the best but it also isn’t bad enough to kill the film.